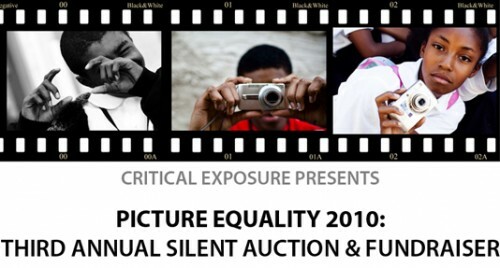 Picture Equality: An Evening of Empowerment Through Photography is our 3rd annual reception and silent auction to provide opportunities for low-income youth so that they can be seen and heard. The auction will consist of images donated by world-class, professional photographers, including Pulitzer Prize winners and contributors to National Geographic and Getty Images. Critical Exposure is a DC-based non-profit that teaches middle and high school students to use the power of photography and their own voices to become effective advocates for school reform and social change.